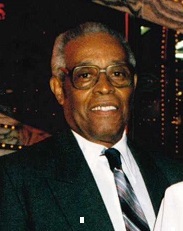 Luther James Sanders passed away on January 16, 2019. He was a loving husband, father, and grandfather. He retired from Tufco. He was a devoted deacon. James was preceded in death by his father, Joseph Sanders; mother, Minnie M. Sanders; brother, Arthur Sanders; son-in-law, Walter Bradford; step-son Tyrone Hulett; wife, Rosa Sanders. He is survived by his wife, Perlena Sanders; daughters, Kathy Bradford and Peggy Sanders; sons, James (Shelia) Sanders, Jock (Debra) Sanders; step-son, George Hulett; step-daughter, Linda Harrison, and a host of grandchildren and great grandchildren. The body will lie in state from 9-11 a.m. on Saturday, Jan. 26, at the funeral home. A funeral service will be held at 1 p.m. at St. Peters Missionary Baptist Church. Interment will be in Summit Cemetery.